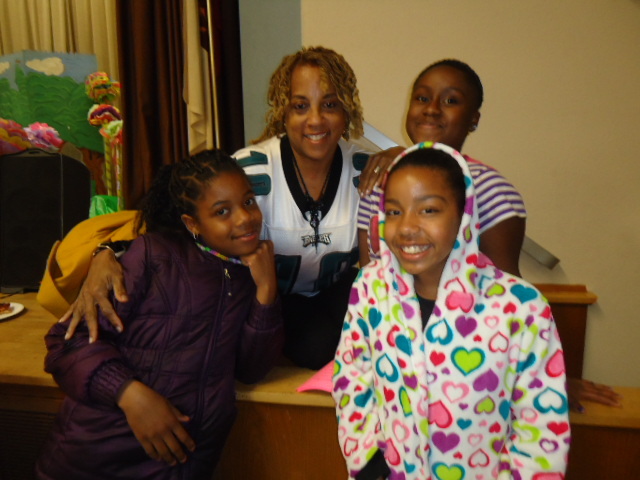 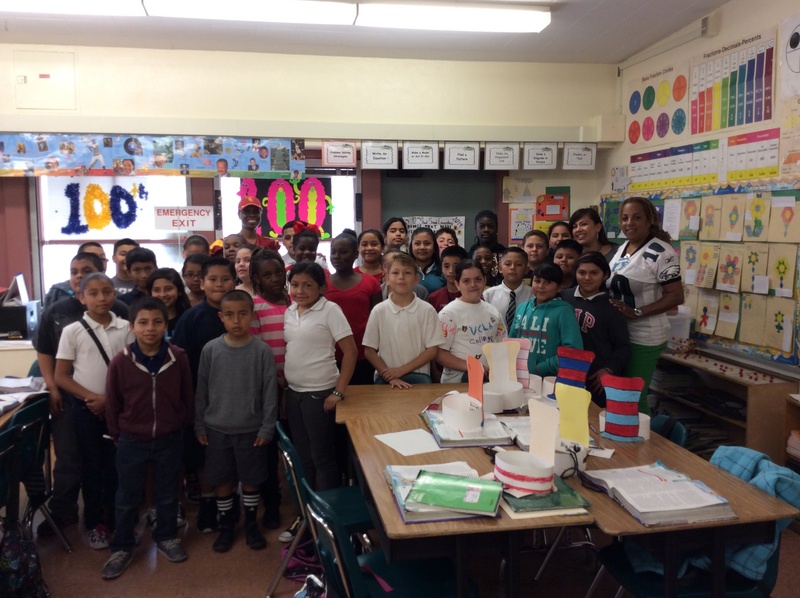 Gayle Jackson, mother of All Pro, Philadelphia Eagles wide receiver, DeSean Jackson; Cheryl Foster, mother of DeShawn Foster; and, Kim Mallory, mother of Stefan Johnson recently took time off from their off season time with their families to enrich the lives of the youth at 92nd Elementary School, in Watts. 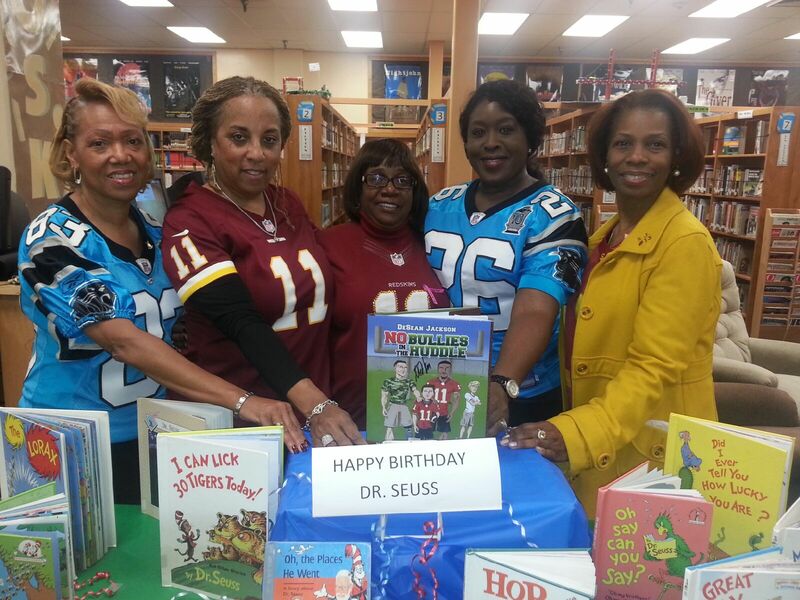 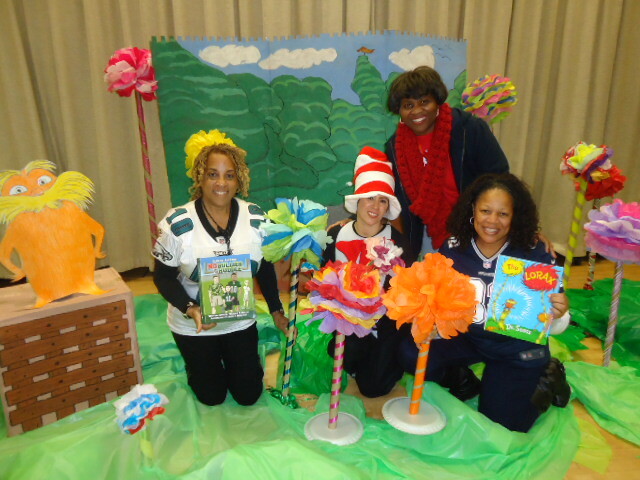 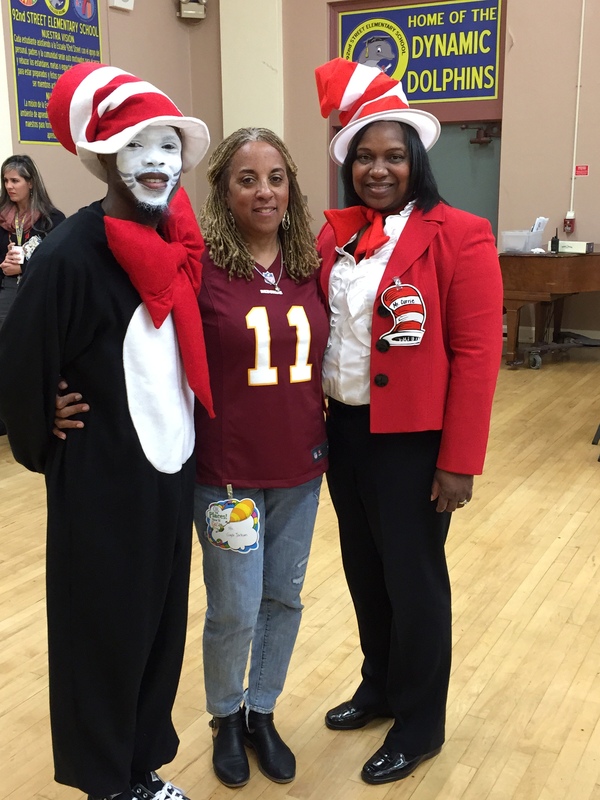 Priscilla Currie, Principal, at 92nd Elementary and the entire student population welcomed the NFL Moms who were scheduled to make several visits to local elementary schools to celebrate Dr. Seuss’ birthday and promote literacy. 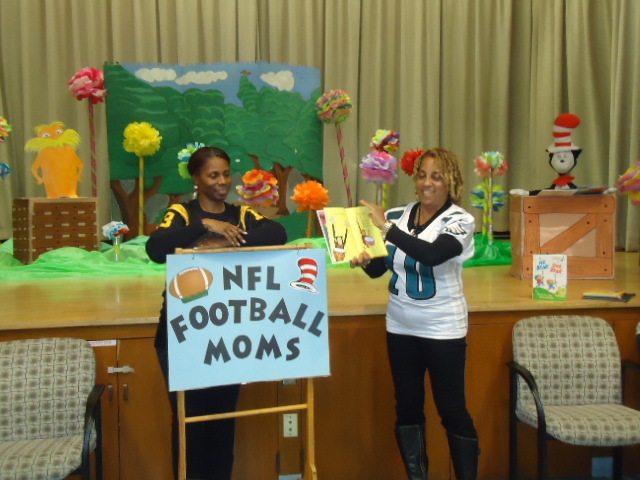 Mrs. Jackson took the time to discuss her son’s career in the NFL and recently published book that focuses on bullying. 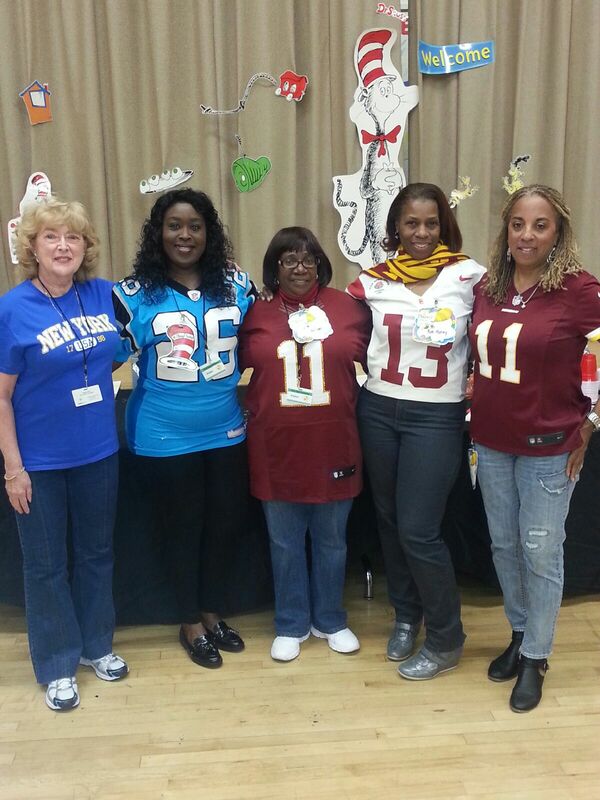 The NFL Moms were Awesome, elegant, graceful, compassionate and caring. 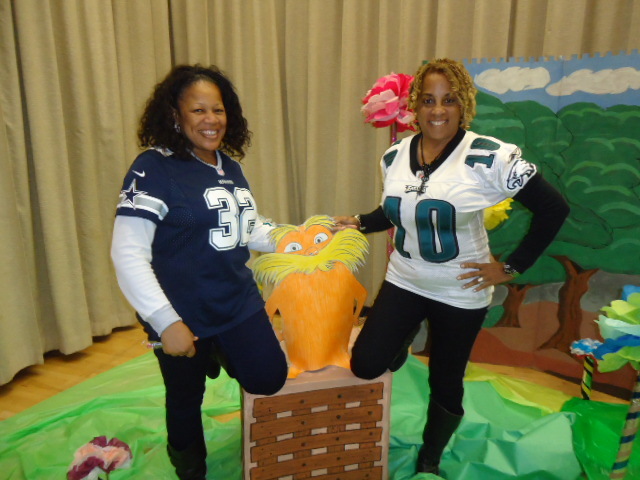 They are ‘unofficial ambassadors’ of the NFL who give their time and personal resources to build caring communities throughout the league and underserved communities throughout the nation. 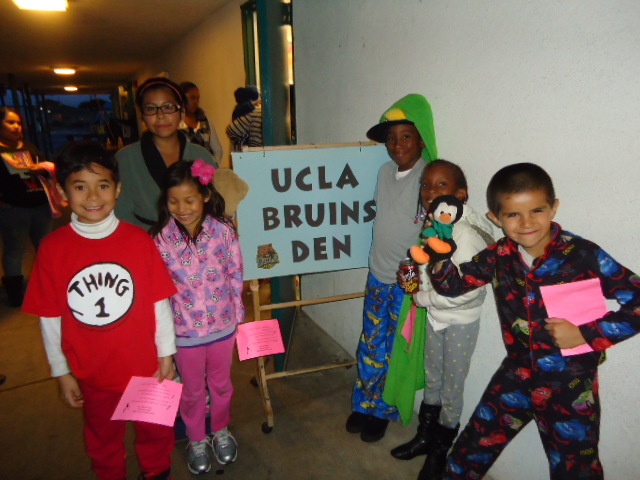 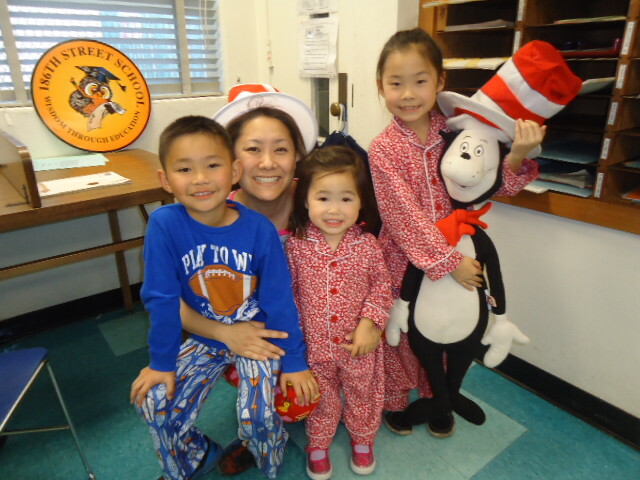 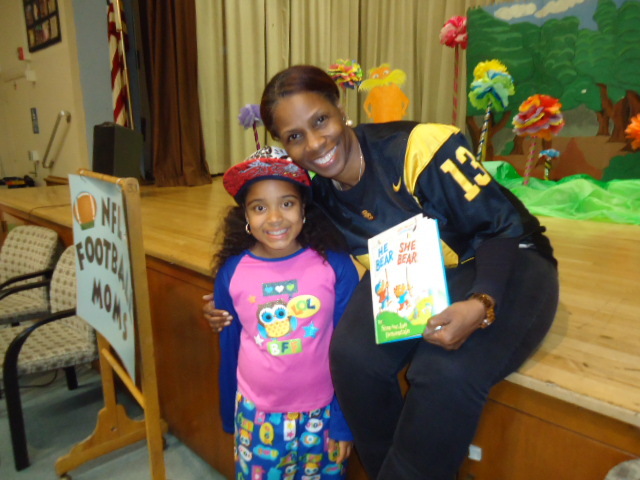 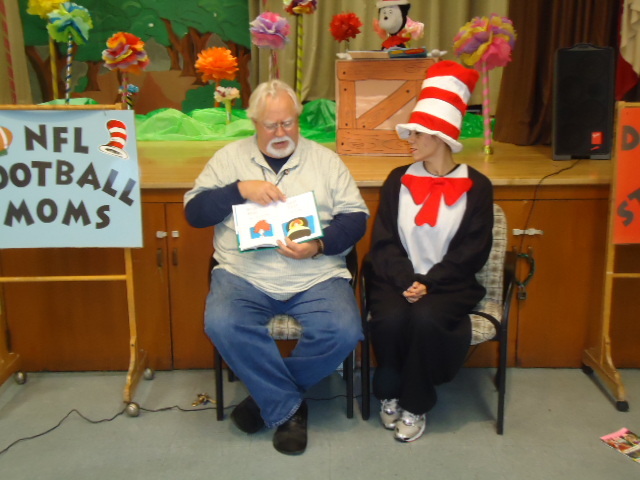 The 186th Street Elementary School students, staff, and parents enjoyed a Reading Pajama Party to celebrate Dr. Seuss’ birthday on Friday, February 28, 2014 with a reading celebration and a movie. 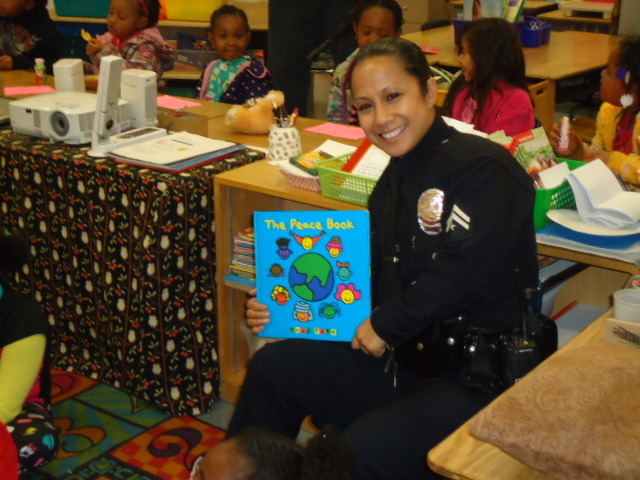 Senior Lead Officer, Ria Garcenila, stopped by to read to the children and join in the literacy celebration. 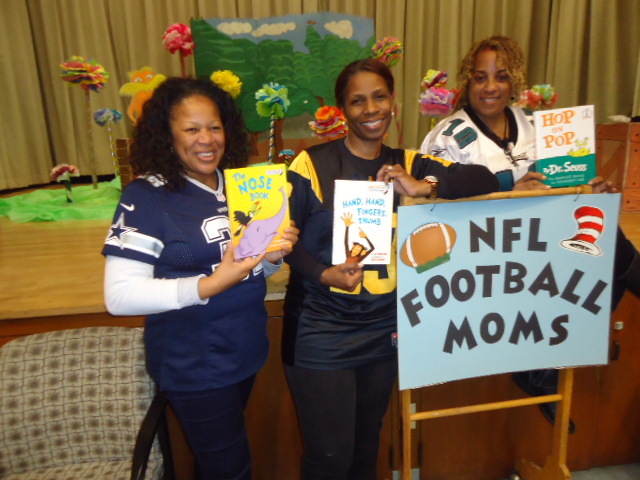 The students and parents were also happy to have the Western Region of the Professional Football Players Mothers Association (PFPMA) return for the third year to promote literacy. 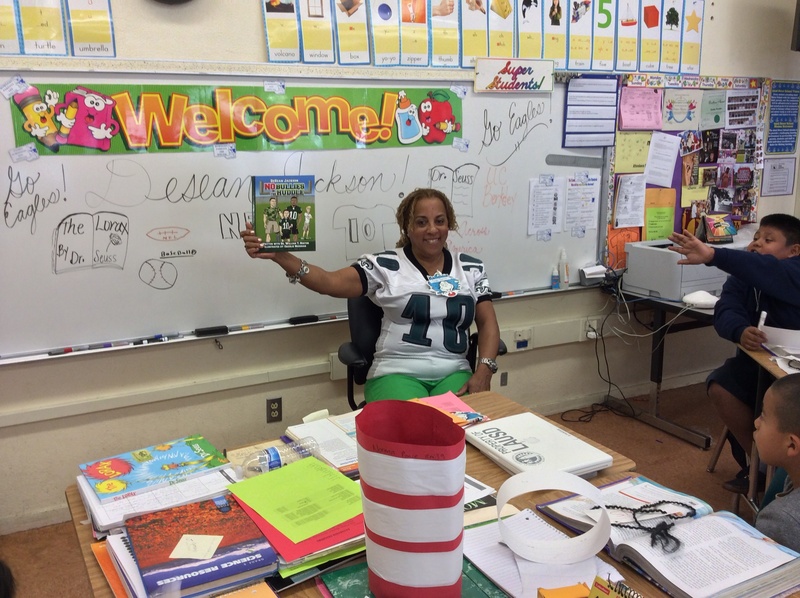 Gayle Jackson, the Western Region Coordinator and mother of Philadelphia Eagles star DeSean Jackson, brought her son’s new children’s book entitled, No Bullies in the Huddle written with Dr. William T. Hoston and illustrated by Charlie Neerman. 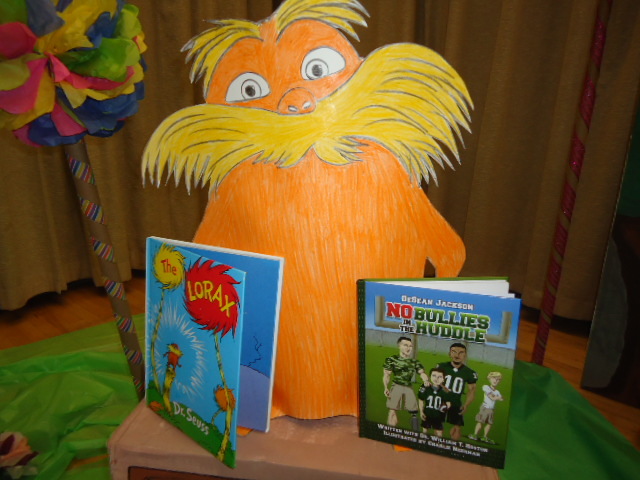 Mrs. Jackson shared that the book deals with bullying awareness and how students can deal with this problem. 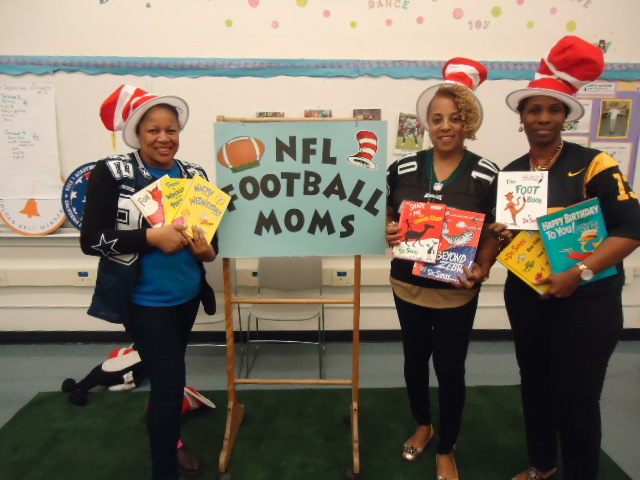 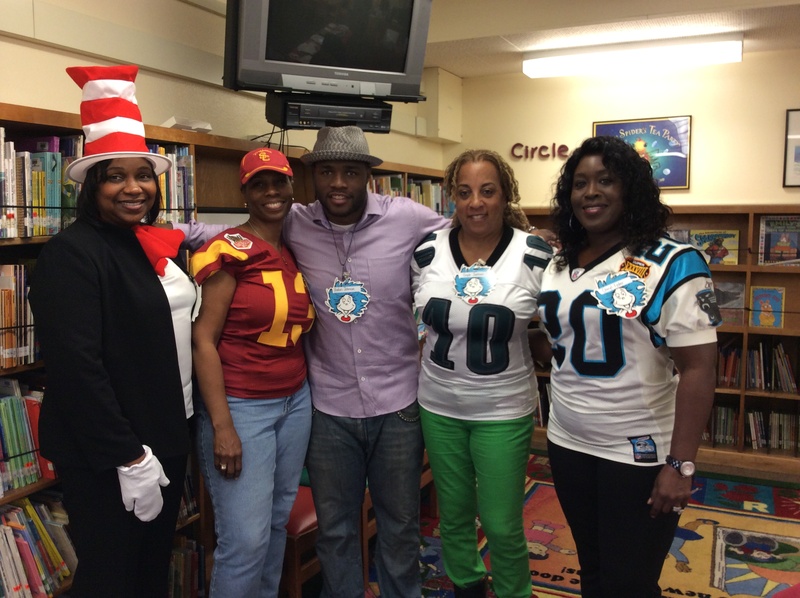 The National Football League (NFL) moms joining in the reading party were LaTonya Scandrick (Orlando Scandrick, Dallas Cowboys), and Kimberly Mallory (Stefan Johnson, Free Agent and USC Great). 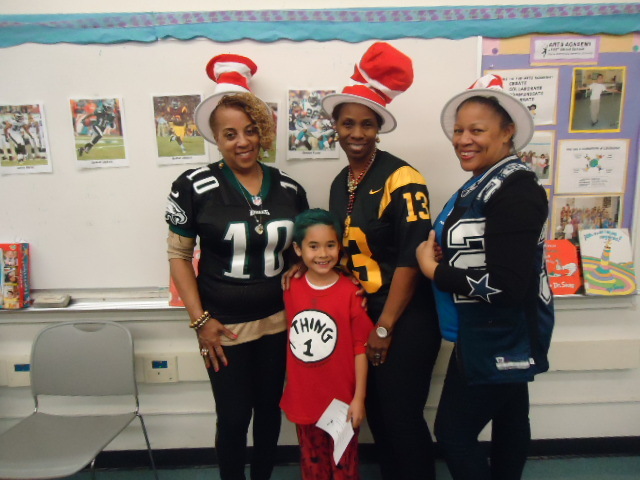 Students were able to enjoy a choice of stories read by students, teachers, SLO Officer Ria, and the NFL moms in different rooms with themes to promote a college going culture at the beginning of the event. 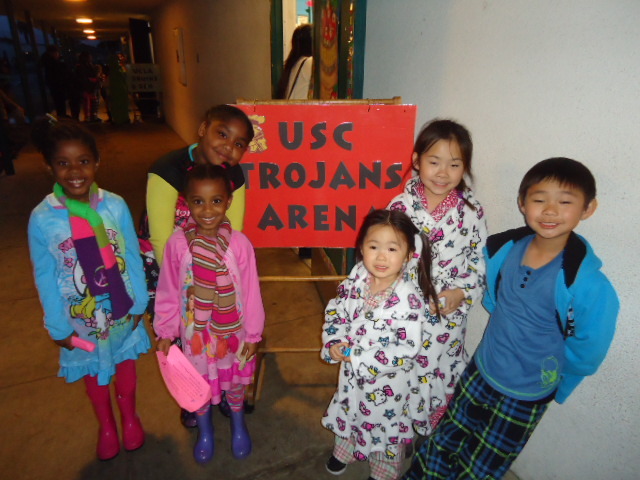 The students heard fairy tales in the USC Trojans’ Arena, animal stories in the UCLA Bruins’ Den, stories of peace to share an appreciation for diversity in the LMU Lions’ Lair, and story time with Dr. Seuss in the auditorium with the NFL moms. 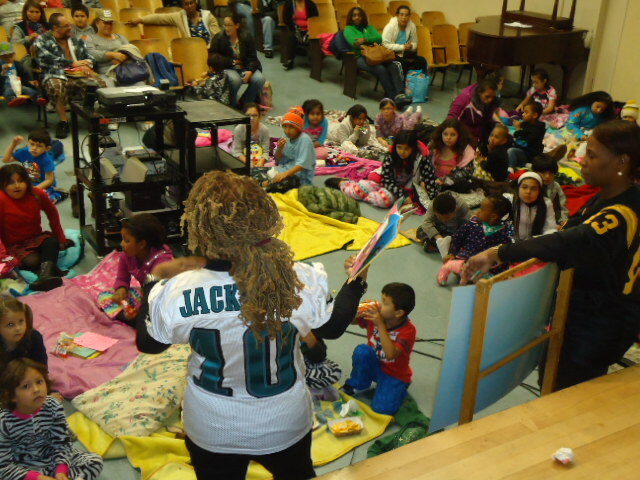 After the students finished listening to the stories, they received a free book to increase their pleasure reading libraries at home and support the academic play of reading 15-20 minutes every evening called by Principal Reed. 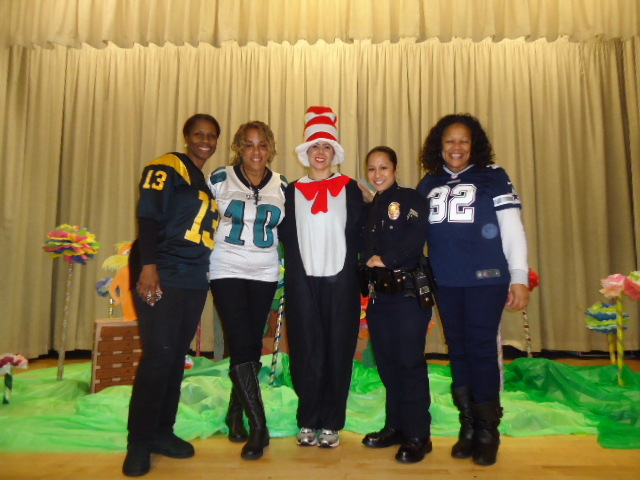 The play is called Operation R.E.E.D. 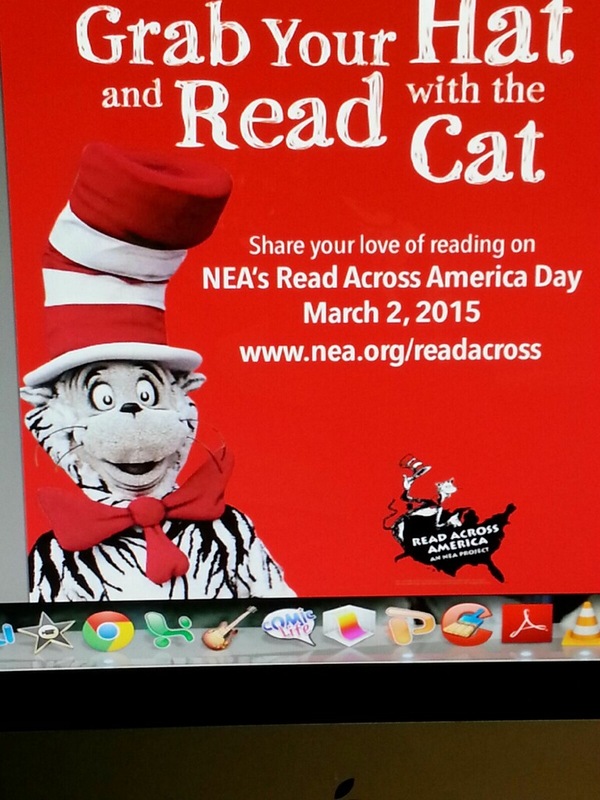 (Read Every Evening Diligently). 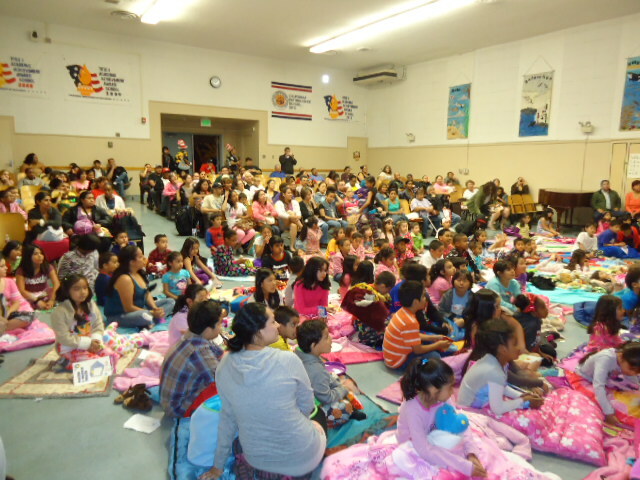 The highlight of the evening was having the children bring their sleeping bags into the auditorium, sit on the floor with their friends, and culminate the Reading Pajama Party with popcorn and watching Disney’s movie Frozen. 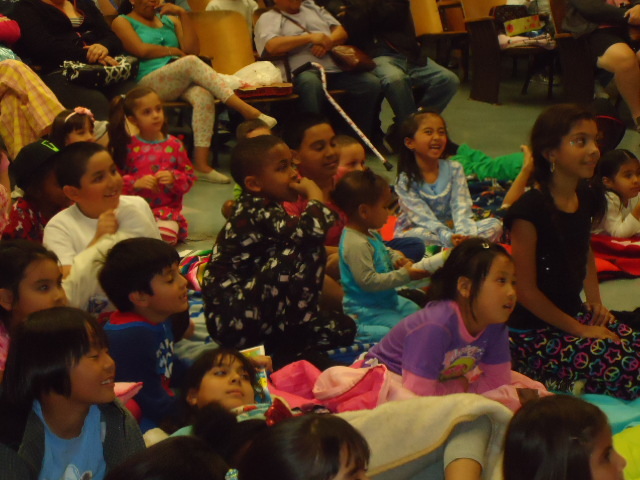 Hearing the children sing all of the songs in the movie was a pleasant surprise. 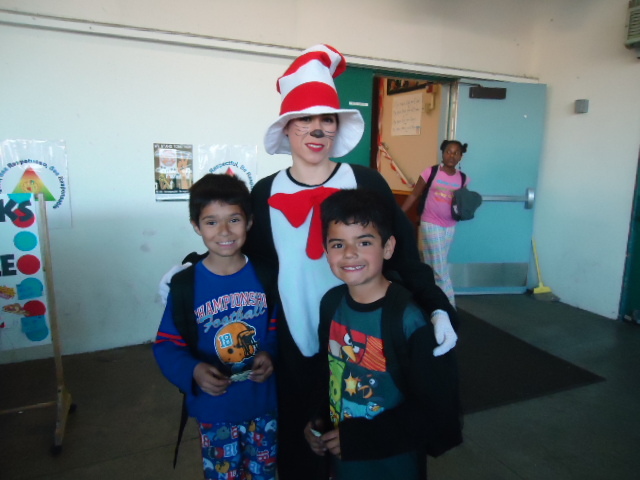 Since the movie was just released on iTunes on February 25th, it was amazing to discover that the children knew all of the lyrics from the movie soundtrack. 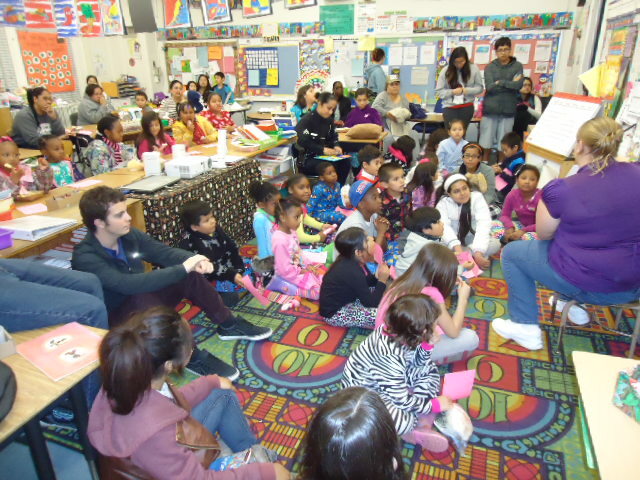 The room was filled with excited children and supportive parents. 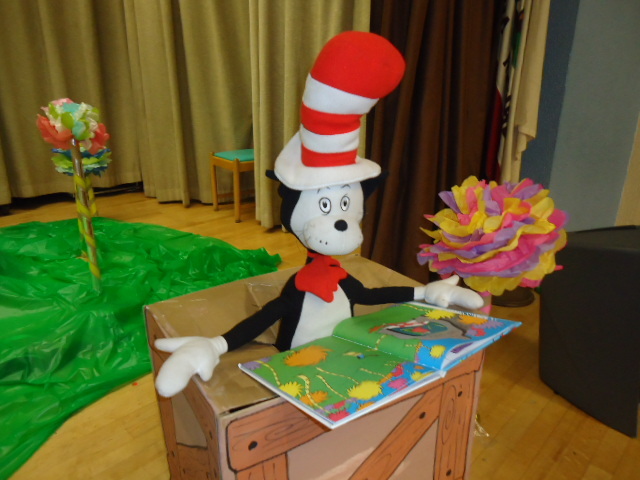 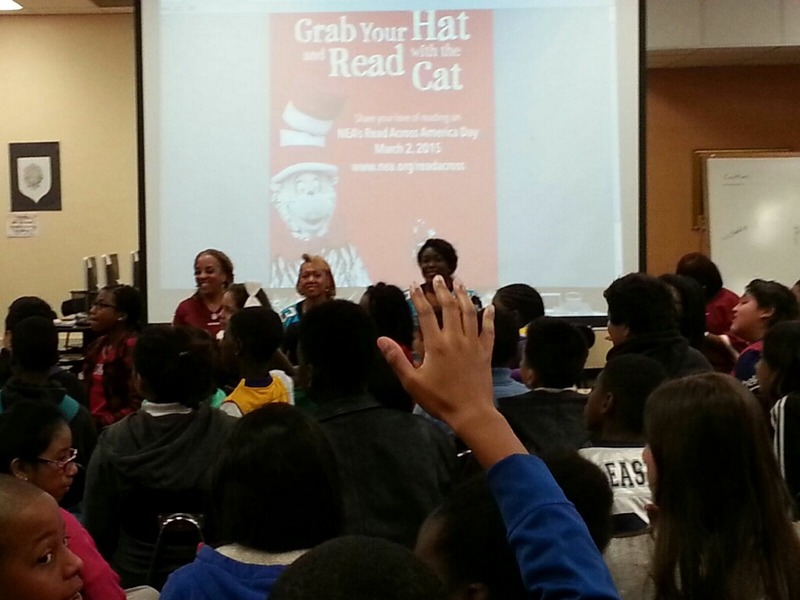 The sight of students and parents enjoying an evening of quality entertainment and family time made the event a great success of Reading Across America.